Editor’s note: We’ve combined John Haydon’s 3-minute video tutorial above on how to use Facebook Insights to target Facebook ads more effectively with the following guest post that dissects the different kinds of Facebook ads. Target audience: Nonprofits, cause organizations, foundations, NGOs, social enterprises, businesses, marketing pros, Facebook administrators, anyone with a Facebook page. Is your nonprofit considering using promoted posts on Facebook? With promoted posts, all you’re paying for is an increase in reach. There is no guarantee that you’ll get more comments, likes and shares, even though that’s what you want for long-term success. The more comments, likes and shares you get on a post, the more you’re leveraging true word of mouth. So the key to investing your ad dollars wisely is to promote only posts that are already getting a lot of likes, comments and shares. You do this by ranking your most recent posts by virality within Facebook Insights. Watch the 4-minute video above for the complete rundown. Target audience: Nonprofits, cause organizations, foundations, NGOs, social enterprises, businesses, educators, Facebook Page administrators. Imagine being able to reach lapsed donors on Facebook, or targeting Facebook page posts for a project funded by that donor segment! Facebook’s new ad feature, called custom audiences, allows you to find your offline supporters and donors among Facebook users. Start with Facebook Events — but don’t stop there! Target audience: Nonprofits, cause organizations, foundations, NGOs, social enterprises, organizations with a Facebook Page. If you’re like most nonprofits, events are a big part of how you connect with supporters and potential donors. But like most nonprofits, you’re probably not integrating other marketing channels like Facebook into your events in a way that promotes your events and your Facebook page. Following are five ways you can integrate Facebook into your events. 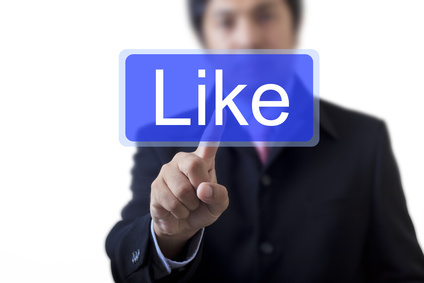 1Your main marketing tool on Facebook is your Facebook page. When you are logged in as your page, create a Facebook Event for each and every one of your upcoming events. 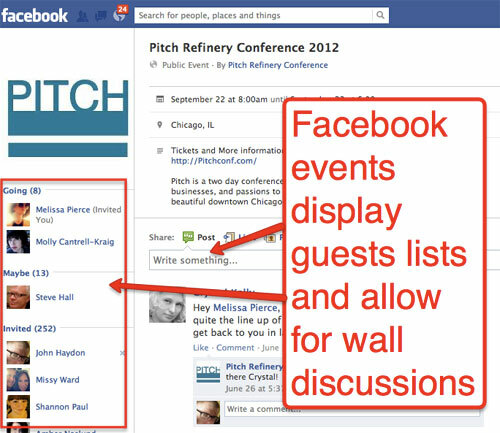 Each event you create gets pushed out into your page’s news feed, but unlike a status update or a photo, Facebook Events each have their own separate page with information about the event, a list of attendees (going, invited, declined), and even a wall where you can engage with people who’ve RSVPd (as shown below). Treat Facebook Events as an additional outpost for engagement between potential attendees, attendees and your organization. Make sure you turn on Notifications. Side note: Facebook events can also be integrated with EventBrite, an event management service that allows you to sell tickets, e-mail registrants, and even create a custom webpage for the event. 2Facebook Events display a list of who’s attending, which is a big part of how people decide to attend an event or not. Because of this, it’s a good idea to do an initial promotion of the event to your core supporters who are almost guaranteed to attend. This way, your event looks more attractive as you push it out beyond your core supporters. On the page – Talk about your event on your Facebook page in advance. You can do this by asking who’s attending, sharing pictures related to the event, and even soliciting questions for a guest speaker to answer during the event. Via email – There are at least three e-mails you can send before each event. The first e-mail lets your subscribers know about the event and tells them to RSVP on Facebook. You also can encourage people to RSVP by offering an incentive to those who RSVP (yes or no) before a specific date. The second e-mail solicits input for the event. For example, you can encourage subscribers to post relevant photos on your Facebook Page with the idea that the best ones will be displayed on a projector at the event. If you have an expert speaker, tell subscribers that you’ll pick the top 10 questions posted on the page for the expert to answer during the event. Target audience: Nonprofits, cause organizations, foundations, NGOs, social enterprises, businesses, Web publishers. Facebook ads are an incredibly powerful tool to promote your Facebook Page or your Facebook Page updates, whether you’re a nonprofit, social enterprise or business. And it doesn’t have to cost much at all. 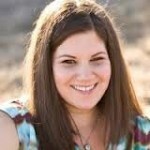 One way to acquire Facebook fans for your nonprofit is to use Facebook ads to promote your Page. But not traditional Facebook ads – Sponsored “Like Story” ads. Like Story ads can be targeted to friends of current fans. This will take advantage of the idea that birds of a feather flock together. Like Story ads display the user’s friends who have already liked your Page (“John, Bill and Barbara like the National Wildlife Federation“). Facebook users are more likely to take action when they see that their friends have already taken that action (shown above). Users can “like” the Page directly in the ad. 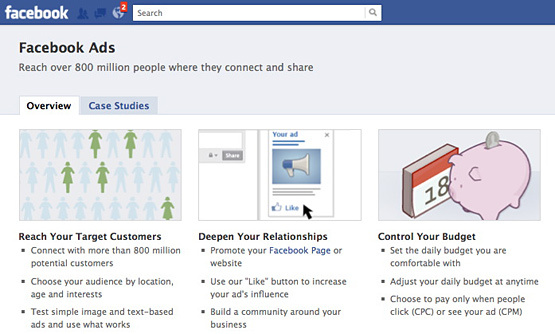 This eliminates any abandonment that might occur between the ad and your Facebook Page (shown above). Fans acquired are displayed in the user’s report in Facebook Insights. This allows you to see how these ads compare to other methods of acquiring fans. Standard demographics – You can refine your target by age, age range, gender, marital status, and education. As you add these selections, you’ll notice that the “estimated reach” on the right gets smaller (as shown below). Connections – This allows you to target connections of Pages you administer, Groups you belong to, Events you’ve been invited to and Applications you administer. These can be added by selecting “Advanced connection targeting.” You also have the option of targeting “non-fans” of your Page (as shown below).